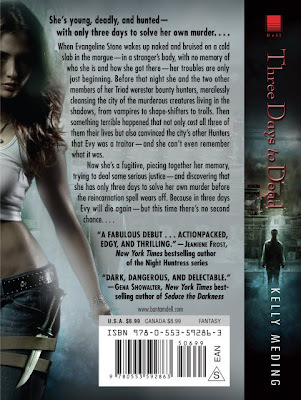 Kelly Meding has posted the front and back covers of her debut urban fantasy novel Three Days to Dead. It will be released Oct 27, 2009, just in time for Halloween. You can view her posting on her blog or at The League of Reluctant Adults. Thanks for the info. I've heard some real buzz about this one!! It sounds super cool. I love the imaginative plot. That is some body on the cover model! Yes, I am jealous. Katiebabs - Me too! The model they chose is just fantastic! 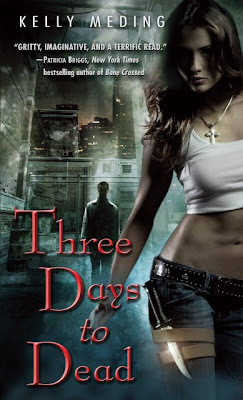 Another author to add to the TBR list. 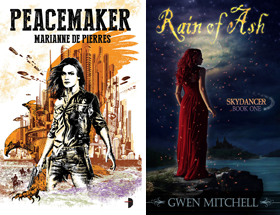 :) I have learned about so many new authors since reading your blog. Thank you for all the time and effort you put into sharing this information. This sounds great! I'll have to add this to the wish list. Carolyn Jean the writers over at the League are on fire right now. Lots of great stuff this year. Hi Kelly thanks for dropping in! Looking forward to this. And what delicious cover for us guys. You're welcome Michelle. I'm always looking for new books to thrill me. Glad to be able to share. No problem! Thanks so much for posting it. I may have to get a nice sized poster printed up and offer it as a grand-prize giveaway for a future blog contest. Hehe.